In this post – 5 Steps to Restart, Recharge and Revive Your Marketing Right Now! – I introduced an aggressive initiative to help any business owner struggling to stay on plan with their marketing for the year. The idea is to take the mid-point of the year and get a fresh restart. While the previous post kicked off the idea today’s post 1 of 5 Summer Restart is meant to get us down to business. 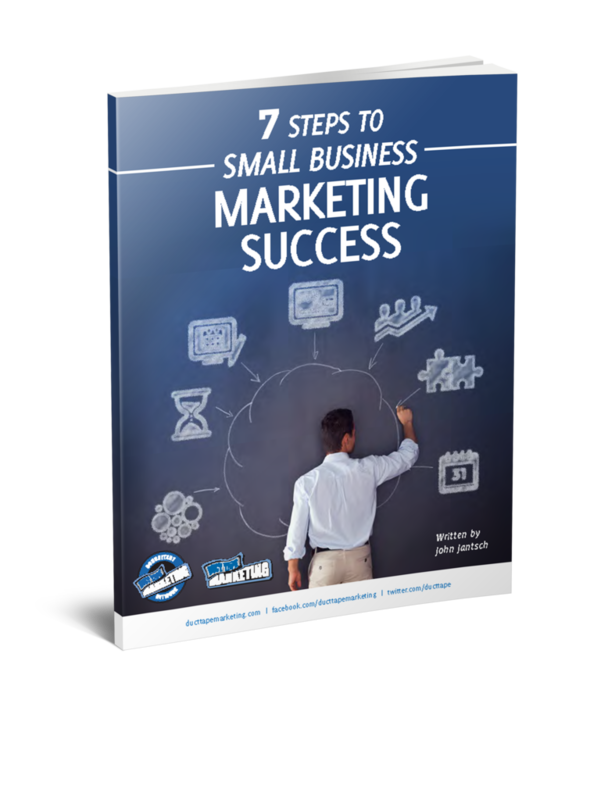 Ready to cover the five steps to restart your marketing plan for the year? Oh, side note – I love summer – I embrace the heat and here in the Midwest the humidity – so since we are talking about restarting your plan as Summer kicks in I thought I would give this entire series a Summer motif. Thus the watermelon in the image above. Matching your message to your ideal client is pretty much everything when it comes to marketing these days. Think about you – you’ve got about five seconds to get and keep someone’s attention and you can’t waste that precious time with a message that doesn’t connect. A message that connects is one that clearly talks about what your ideal client wants more than anything else in the world – and what is that? They want to solve their problems. In many ways, they will never care about your awesome plan to do XY and Z if you don’t first and foremost let them know that you understand what they really, really want. Hint: Nobody really, really wants what you sell – they want their problems solved – period. So, for today, here’s your assignment. Make a list of the problems you solve for the clients you help the most. For example, a lot my prospective clients might say things like – I just want the phone to ring more. So I don’t sell marketing services or SEO or even consulting – all you need to know about what I do is that I make the phone ring – end of story. Another example, a tree service: They might have the best equipment and most highly skilled crews but all their customers seem to care about is that they show up when they say they will and clean up when they are done. So that’s the promise they need to promote. The rest is an expectation – I mean doesn’t everyone in the tree business have highly skilled technicians. That’s it – that’s how you refocus your message so it’s no longer about you and your amazing products and services and it’s all about your amazing clients and the problems they want to be solved. In the past, I’ve referred to these kinds of statements as trigger phrases. Your customers don’t know how to solve their problems, but they usually know what their problems are. If you can get really good at demonstrating that what you sell is the answer to their problem they really won’t care what you call it, they’ll just buy it to make the pain go away. These phrases can be questions or statements or even anecdotes, but they must come from the point of view of the customer. What headline will grab their attention? For illustration purposes, I’ll outline a few of the common problems phrases we hear. 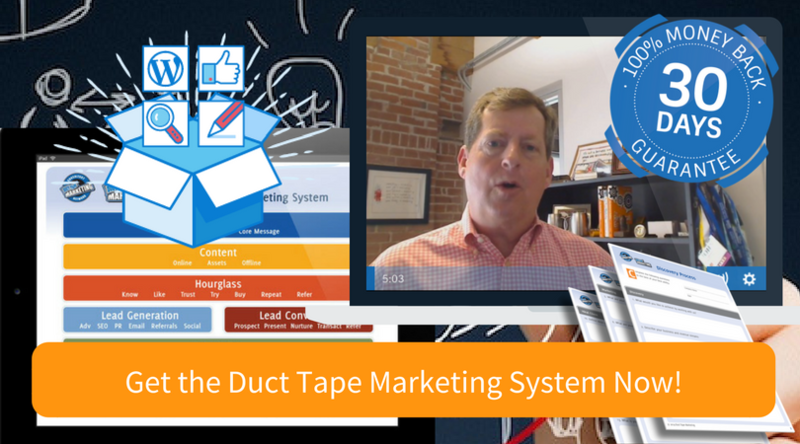 If you’re a marketing consultant, then these will make total sense to you, and you should probably look into becoming a member of the Duct Tape Marketing Consultant Network. My website just isn’t performing as I had hoped? Every one of my competitors shows up for local searches and my business does not? I’m getting constant pitches from SEO companies? I find the need to produce content and participate in every social network exhausting? So, a few of my best headline ideas might come from some combination of these frustrations. Want some help creating your new message? Pick out a handful of your ideal clients and go ask them – what problem did we solve for you? Test your headlines with them. Ask them to describe what you do better than anyone else. Pro tip: If your business receives online reviews study them carefully. While it’s awesome to get 5-star reviews pay close attention to the words and common phrases your happiest customers are using – they will write your promise for you in some cases. Review 1: They meet their commitments. They show up when they say they are going to and do very high-quality work. Review 3: The attention to detail; the communication with the team members; the follow up on any issue….it’s all been great! See any themes in these review snippets? Often when we receive praise the person giving the praise because we’ve done something they hadn’t experienced previously. Step 1: What are the must haves to be a client – this is stuff that naturally narrows your list – must be 18 years or older, must own a home – that kind of thing. Step 2: What are the generally looked for attributes – no required, but preferred – perhaps it’s an age range, geographic location, or special interest. Step 3: What makes them ideal – what are the attributes that make them your best prospects – perhaps they have a certain business model, unique problem, at a certain point in life or business. Step 4: What behavior do they exhibit that allows you to identify them. Do they belong to industry associations, tend to sponsor charitable events, read certain publications? Narrowly define and document the answer to this question: How would I spot your ideal client? Create one strong promise statement that addresses a common problem your ideal clients face. Answer this question: What problem do you solve for your ideal clients?